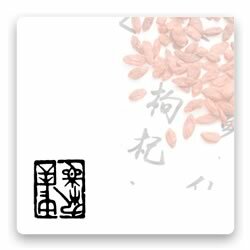 The plum blossom, characterized by her unyielding spirit and fortitude, is crowned the national flower of China. In this album, the upright spirit of the blossom is transformed into music of sheer texture. The interwoven sounds of nature and various Chinese string and wind instruments depict the crystal beauty of the plum blossom, blooming under the winter moon, by the solitary stream.